I created this gorgeous multi-loop bow with my Bow-it-All v2.0. Be sure to take a peek at Bonnie's awesome bow tutorials on YouTube! I hope you've enjoyed today's project! 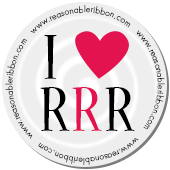 Be sure to check out all the ribbon and crafty goodies and tools at Really Reasonable Ribbon! I can't brag enough about the amazing selection of products, awesome prices, fast shipping and great customer service! wow this card is stunning, I love the stamp. I would agree that this card is gorgeous. Love the stamp.